Recently the undersigned was taken on a tour of entire HARYANA, UTTAR PRADESH & HARYANA with some members of the Civil Society (incognito) & based on the visual & interactive observations of the undersigned and others it is once again reiterated that URGENT NEED for a Stricter Regimentation of the Police Force everywhere is required to instill & drill confidence in the mind of the “AAM AADMI” and as such it is essential that the abuse/misuse of authority and misconduct on the part of Police Officials especially at the POLICE STATION & CHOWKI LEVEL needs to be deal’t with firmly to put an end to this inhuman menace which is anti – “AAM AADMI”. Wearing of Helmets is a must as per Law, more so for all Police Personnel as they are the ones whose Duty is to ensure strict adherence to Law by the Public and they have to lead by example. Even though there has been marked improvement in this respect in Delhi and some other metros but still there are some Errant Police Personnel who avoid wearing Helmets. DO ENSURE THAT THEY ARE TAKEN TO TASK. Wearing of Seat Belts is a must as per Law but unfortunately almost all Police Personnel including TRAFFIC POLICE PERSONNEL are the Worst Offenders in this respect. We from POLICE WATCH INDIA have at many times made Police Personnel at many places put on their Seat Belts after making it clear to the Errant Police Personnel that first & foremost it is necessary for their own personal safety and secondly mandatory as per Law. IT BE ENSURED THAT THIS PROVISION UNDER LAW IS STRICTLY ADHERED TO BY ALL POLICE PERSONNEL. Another requirement that should be strictly adhered to by all Police Personnel is that their Name Plates/Tags should always be on their Uniforms (PREFERABLY EMBROIDERED ON THE UNIFORM). Those who have their name tags affixed to their uniforms do it in such a way that their names are not clearly visible and in many the names given on the tag are incomplete. It has been observed by us at POLICE WATCH INDIA that majority of the Police Personnel comply with this requirement in whatever way but still there are some who deliberately do not comply with this requirement for obvious reasons and it has also been observed that Traffic Police Personnel are also shy of complying with this requirement again for obvious reasons. IT ALSO BE ENSURED THAT ALL POLICE PERSONNEL STRICTLY COMPLY WITH THIS REQUIREMENT. A Very Old Saying States That “THOSE WHO HAVE NO RESPECT FOR OTHERS & THE LAW, OTHERS HAVE NO RESPECT FOR THEM”. To Earn Others Respect You Have To Follow The Set Standards And The Law And Respect All Fellow Human Beings Alike. IF TRAFFIC COPS DO NOT FOLLOW THE TRAFFIC RULES THEMSELVES THEN WHAT RIGHT THEY HAVE TO PENALISE OTHERS NOT OBEYING TRAFFIC RULES. 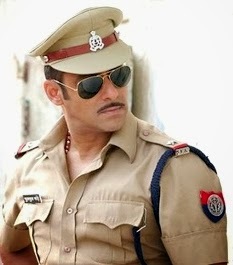 The “HUM NAHIN SUDHAR SAKTE” attitude of the Errant & Corrupt Police Personnel will have to be deal’t with a heavy hand. THE GROUND REALITY WITH RESPECT TO REGISTRATION OF F.I.R.s REMAINS THE SAME DESPITE HON’BLE SUPREME COURTS RECENT DIRECTIONS IN THIS REGARD. You would definitely be pleased to know that we at “Police Watch India” keep receiving appreciation mails from the general public as well as from police personnel but we do not post them on our website as it is our policy not to divulge the identity of anyone whosever and secondly we are not interested in publicity, as our sole aim is to ensure better policing so that justice is delivered to all those who are victims of crime & whenever & wherever we get the desired result we deem it as a reward for our efforts in the attainment of our objectives. WE AT “POLICE WATCH INDIA” WANT YOU AND ALL POLICE PERSONNEL TO BE REMEMBERED BY FUTURE GENERATIONS INCLUDING YOUR & THEIR FUTURE GENERATIONS AS LAW ABIDING HUMANS, FIRST & LAST.